We all know that bleak feeling cold winter days bring. 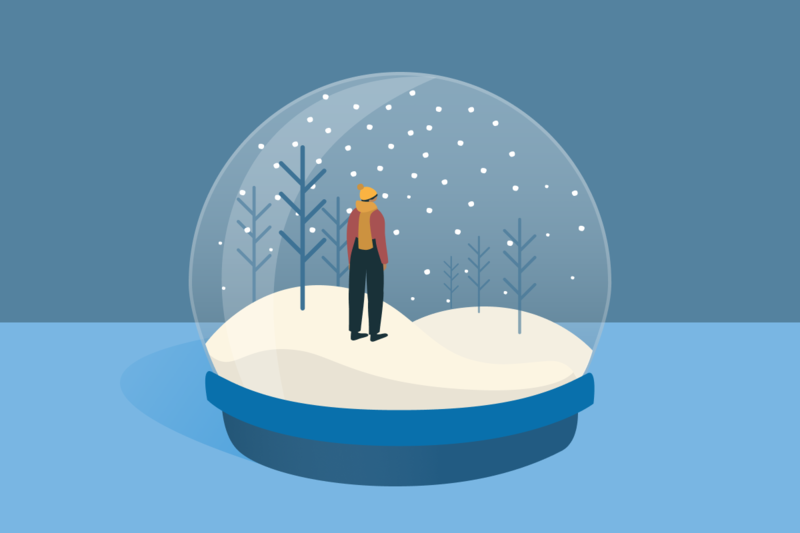 For some, a persisting low and the loss of motivation makes them worry: “Am I ‘just’ in a bad mood or is this a real depression?” Before we talk about seasonaldepression and the effects of winter, let’s start with the basics: What is depression? The word ‘depression’ usually refers to what we call a ‘depressive episode’. It is a clinical disorder with pre-defined symptoms which can be found in the DSM, the Diagnostic and Statistical Manual of Mental Disorders (in other countries it’s the ICD-11). For a diagnosis, the symptoms of depression must appear in a specific combination and persist for at least two weeks. Only a doctor or psychotherapist can diagnose a depressive episode. If someone experiences a depressive episode again, after the first one has subsided, they will receive the additional diagnosis ‘recurrent depressive disorder’. This simply further categorizes their experience. But the experience of the second depressive episode in the moment isn’t necessarily different from the first one. 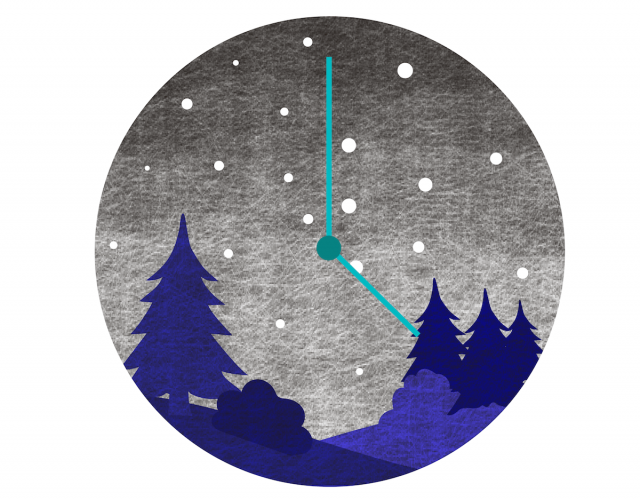 What and when is seasonal depression? Seasonal Depression, or ‘seasonal depressive disorder’, is listed in the DSM as well. It is also an additional diagnosis, specifying the depressive episode even further. It means that a depressive episode has repeatedly occurred at similar times of the year, according to a “seasonal pattern”. So, it’s like a ‘recurrent depressive disorder’ that only appears during one season in the year. That’s why seasonal depression is extremely rarely diagnosed and is never diagnosed as the first depressive episode. And, did you know that it’s not only diagnosed in Winter? There is no mention of ‘winter depression’ in the DSM. Just like ‘summer depression’ or ‘spring depression’ isn’t mentioned. In research, there is evidence that the so-called ‘Winter Depression’ is nothing more than a standard depressive episode. The preferred treatment options don’t change either, when a depressive episode occurs in winter: Psychotherapy and antidepressants still have the highest chances of success. Some people experience seasonal affective disorder in summer. Maybe they are more stressed by a summer job or feel pressured to be more active but instead feel more isolated from everyone. Some experience it in spring or in autumn. Every person reacts in their own way to the same input and events. But that horrible lack of light, energy, and vitamin D? Sure. Seasons have an influence on our body and psyche. Less light changes our hormonal balance: When it is dark outside, our body releases more melatonin – a sleep hormone that makes us tired, dampens our mood and relaxes us. On the other hand, vitamin D is absorbed by sunlight and regulates, among other things, serotonin – a neurotransmitter we need to produce melatonin. Serotonin also has effects on our well-being and is famously called the “happiness hormone”. Therefore, in winter we use more serotonin when it is darker and, at the same time, less is produced because there is less light. Long story short: A lack of light could negatively impact our mood, even on a biological level. Some studies have found a link between vitamin D deficiency and depression. But here’s the crux: This effect alone is not strong enough to explain the occurrence of a depression. There are other influences that also play a decisive role. The many causes of depression include, for example, heredity, stressful life events, unhealthy thought patterns and much more. So, it’s not the winter that causes your depression. Depending on how much you dislike winter and how strongly your body reacts to it, it may not help, though. Instead of saying ‘winter depression’ or focusing too much on ‘seasonal depression’, we should say that we’re having a case of the ‘winter blues’. ‘Winter blues’ is not a disorder and doesn’t need a diagnosis or treatment. Using that term still makes clear that you feel affected, even on a biological level, by the damp darkness of wintery months. But it also communicates that you know the difference between winter blues and a real disorder which deserves attention and professional treatment. Likewise, this means that those who are experiencing a depressive episode shouldn’t simply dismiss this as a normal effect of winter. If you feel constantly exhausted and down and recognize other symptoms of depression in your day to day life, you should take it seriously. Are you unsure how to recognize an actual depressive episode? Take a look at this article. You can also try out Moodpath for free to receive a sound assessment of your mental health, including the possibility of an existing depressive episode.